Cloud9limo.com Stretch airport Limousines offer professional, seamless, comfortable transportation for business travelers, airport transfers, executives and those on vacation who want to add that extra special touch to their trip. We will always be on time, in the most updated vehicles, using cutting edge technology. Bay Area airport limousine Service will get you where you need to be, when you need to be there, comfortably and in class. Take your time, choose the luxury vehicle that will best suit your needs & call us to reserve today! Cloud9limo.com Stretch Wedding Limousines offer smooth, seamless, comfortable transportation for bay area weddings, reception transfers, groom/Bride’s family and friends. We will always be on time, in the most updated vehicles, using cutting edge technology. Bay Area wedding limousine Service will get you where you need to be, when you need to be there, comfortably and in class. Take your time, choose the luxury vehicle that will best suit your needs & call us to reserve today! Cloud9limo.com Stretch Wine Tours Limousines offer smooth, seamless, comfortable transportation to all wineries, vineyards in northern California. Limo tours for those on vacation who want to add that extra special touch to their trip. We will always be on time, in the most updated vehicles, using cutting edge technology. Bay Area wine tours limousine Service will get you where you need to be, when you need to be there, comfortably and in class. Take your time, choose the luxury vehicle that will best suits your needs & call us to reserve today! Cloud9limo.com Stretch Quinceanera Limousines offer smooth, seamless, comfortable transportation for a special quinceanera event, churchor to the party. Ask about our 20 pass. SUV party limo specials! We will always be on time, in the most updated vehicles, using cutting edge technology. Bay Area quinceanera limousine Service will get you where you need to be, when you need to be there, comfortably and in class. Take your time, choose the luxury vehicle that will best suits your needs & call us to reserve today! 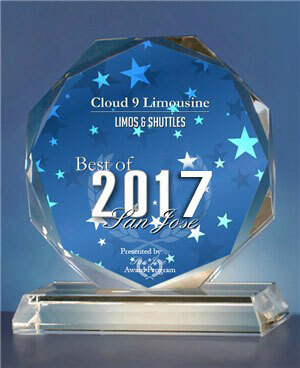 Cloud9limo.com Stretch Bachelorette Party Limousines offer smooth, seamless, comfortable transportation for bay area bachelorette parties. Celebrate with your friends in one of our awsome party limos equipped with a bar, TV’s, music & more. We will always be on time, in the most updated vehicles, using cutting edge technology. Bay Area bachelorette limousine Service will get you where you need to be, when you need to be there, comfortably and in class. Take your time, choose the luxury vehicle that will best suits your needs & call us to reserve today! 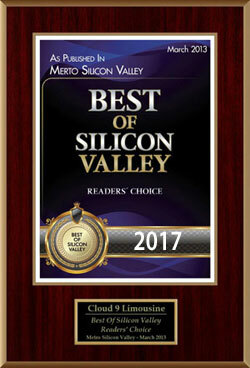 Cloud9limo.com Stretch Bachelor Party Limousines offer smooth, seamless, comfortable transportation for bay area bachelor parties. Celebrate with your friends in one of our awsome party limos equipped with a bar, TV’s, music & more. We will always be on time, in the most updated vehicles, using cutting edge technology. Bay Area bachelor limousine Service will get you where you need to be, when you need to be there, comfortably and in class. Take your time, choose the luxury vehicle that will best suits your needs & call us to reserve today! Whether you have a taste for the finer things in life or you’re simply looking to enjoy a night out; renting a Bay Area limousine certainly will give you the comfort and luxury that you’re looking for. Bay Area Limousine Service is a company that specializes in Luxury ground transportation. We can accommodate Bay Area Limo Service for large groups, specialty parties and airport services. Bay Area Night on the Town Limousine Rentals is a professional, dependable and prompt Bay Area limousine services. Our goal is to provide you with first class limousine service and the most knowledgeable chauffeurs. Your satisfaction is our priority. Our team members are fully dedicated to meeting and exceeding your highest demands. Our vehicles are chauffeured by experienced, friendly and safe drivers who have extensive knowledge of the Bay Area. They would be happy to assist in answering any questions you might have concerning the Bay Area. Bay Area Limousine Service has an extensive array of luxury limousines and sedans available, whether you need a Bay Area airport transfer, Bay Area wedding or prom limousine rental, Bay Area bachelor/bachelorette or other party limo service, Bay Area Limousine Party transportation services, or any other limo rental services in Bay Area. Our knowledgeable and professional team and friendly drivers make us the perfect source for all your Bay Area Special Event needs in Limousine services. Our 24hrs a day with on-time drivers and Bay Area affordable limo rates you can count on. Through our dedication to service, we have earned the repeat business of our customers all around the Bay Area and we are certain we can earn yours as well. A elegant Bay Area limo is more than just a mode of transportation; it is a very reliable and convenient way to travel. You also don’t have to just rent the stretch limousine you might remember from your prom night. When your Bay Area limousine arrives, you’ll be greeted by a courteous chauffeur, dressed in formal attire and ready to pamper you with distinguished, safe and prompt service. We want you to have an outstanding Bay Area Limo service experience that makes any special event truly memorable!